See scan - perfect condition. This is an important French Cartier Art Deco platinum brooch with diamonds and onyx. 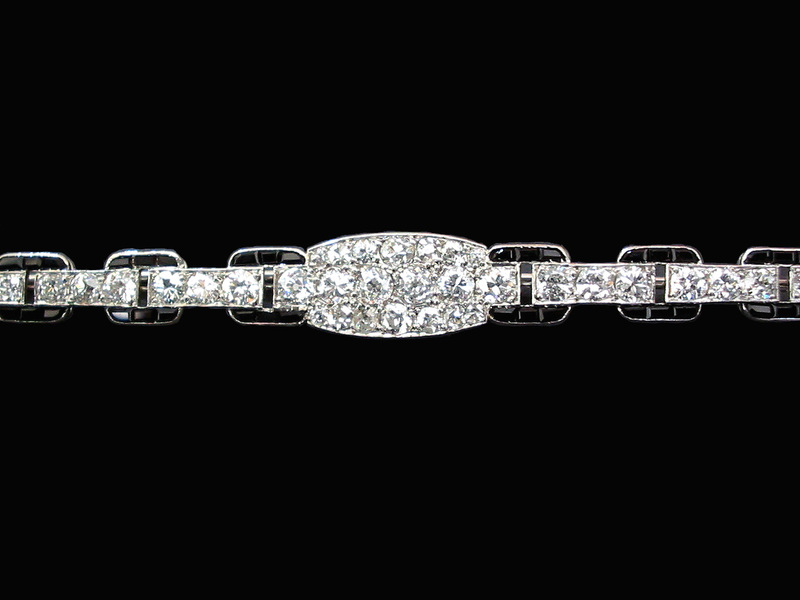 This fabulous Cartier jewelry "dress pin" brooch is solid platinum with a total of 42 brilliant cut diamonds and a total weight of approximately 4.2 carats. The stones have an outstanding sparkle with their average F-G color and VS1 clarity. All stones are old European cut and only a single small piece was replaced with a D color modern brilliant cut stone as one of the originals was missing. The brooch is 90 mm long and 9 mm wide across the center and weighs about 12 grams net. 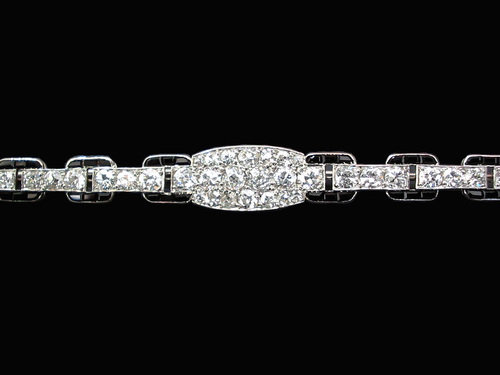 The brooch has French hallmarks for platinum, as well as the Cartier rhombus maker's mark applied to back pin with two letter 'C' divided by line or crescent - being typical marks of the Cartier firm during the 1922-1930 period. The marks are applied to pin, but are very faint due to time and wear and are generally difficult to read without proper magnification. Following photos are taken under 200x magnification. Most likely there used to be some Cartier signed name to one of the side boards of the pin, but apparently this has been worn off. 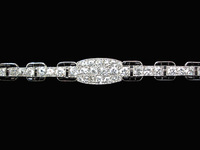 For a nearly identical Cartier signed bar pin diamond brooch offered by another dealer do check the last attached image. These Cartier maker's marks are described in several catalogues including the Italian "L'Art de Cartier" by (1990) Academia Valentino. Scarce and important antique Art Deco jewelry / jewellery collector piece and one of the rare Cartier Art Deco platinum and diamond jewels and brooches.